ocean | RAW GODDESS, INC.
Posted on March 28, 2017 by RawGoddessInc. What an amazing time to be alive and witness some of our most profound transformations! I’m very excited to see more interest and openness to 13 sign astrology! With satellite apps and the internet, we really don’t have any excuse for blindly staying on the western zodiac when it doesn’t even line up to the actual stars. Times are changing rapidly and knowing correct star placements really makes all the difference! The solar and lunar energy we have today is Pisces! The New Moon is in Pisces! No it’s not in Aries, like mainstream astrology is saying. If you have a google sky map app you can verify this astronomical fact for yourself. The difference between Aries and Pisces is like night and day. Aries energy makes you wanna fight. Pisces energy will have you crying for other people. As I have stated in my previous articles, we are in the middle of a great change. This is a massive overhaul that will become more intensified as we head deeper into the incoming Mercury Retrograde’s shadow this week! It’s time to merge all realities. 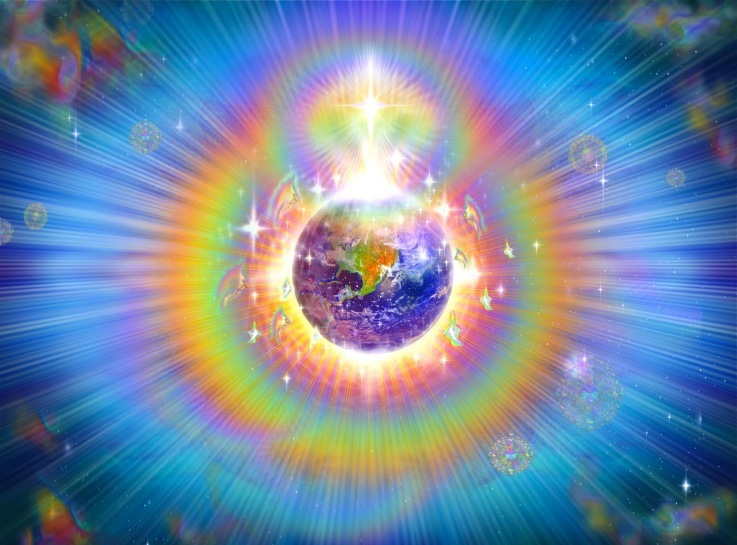 Here on Earth there is a coming together of our spiritual essence that cannot be stopped. That is, within ourselves and also with each other. We are able to feel each other’s pain, joy, and everything in between. Focus on the Joy. We are all connected. The New Moon in Pisces today will signify a deeper spiritual integration in this global massive cleanup sweeping the Earth. More spiritual groups and movements are starting to emerge as we women are waking up to our true power! Pisces is a very feminine and healing sign. This is a great time to honor and give back to the women around you, especially if you are a woman. It will strengthen your own truth. In the past, civilizations couldn’t survive without the women all being on one accord with basic functioning, trade, and or business. I do believe we are at this point again. As soon as we women make up our minds to organize, purify our tribes, and fully come together, the world will become a more balanced place. Pisces is the sign of spiritual unity so this will totally include men as well! The shift will happen on an emotionally quiet level first, which happens to be mainly women’s domain. The Cosmic Ocean. I’m hoping this will also signal more care and tending to our land and sacred bodies of water. But again this really starts from within. Fasting, doing water prayers, libations and yoga on the beach, will activate the necessary drastic internal shifts that have to happen right now. So get comfortable with everything changing rapidly and just know that it’s time for you to at least start the process of rebuilding your dreams. Find a way to create a new vision. For the next 2 weeks of the Pisces New Moon Cycle, work with your ancestors in libations. Talk to your relatives that are protecting you from the other side and ask them for guidance if you are not sure what to do about something. Anything. The Pisces moon cycle is also a great time to do a deep meditation and explore our different past lives. I do readings, consultations, and classes on Past Life Astrology! & Feel free to join my Raw Goddess 13 signs Astrology group on Facebook. I post exclusive info about the secrets of Astrology which includes the Snake (Ophiuchus) and it’s Wisdom. Pisces is the spiritual abyss to the underworld. The primordial waters. The cycle of life, death, and rebirth continues for all beings and creatures of the universe. The Mother of all Mothers. The void. To access the powers of this New Moon and the next 2 weeks, you must have Faith. Things may be a lil chaotic. Pisces is a mutable water sign. The most changeable of all the signs. Pisces means two fish and two modes of movement. The Feet. One negative and one positive, creating the natural flow of life. Pisces people are extremely sensitive, so this is a time to stay extra aware using intuition. Deep Cleansing and purging are still the most active forces on the planet right now. And it will continue to bring this lesson on home for us so don’t give up on the work that has to be done on your health. Know when it’s time to be alone and get some rest and rejuvenation during this Mercury Retrograde season coming in especially. Posted on February 2, 2015 by RawGoddessInc. Hi everyone! If you’ve been following my 13 sign astrology info, then you know this full moon is in Cancer, not Leo. Check your google sky map apps. I’m sorry but western astrology can be so misleading. This is a very important distinction right here. The difference between Cancer and Leo is massive! Cancer is the sign of incubation and Leo is the Sun, manifestation. Before you can manifest anything, it has to be felt in the unseen world first. Cancers symbol in ancient Egyptian astrology is the scarab beetle. 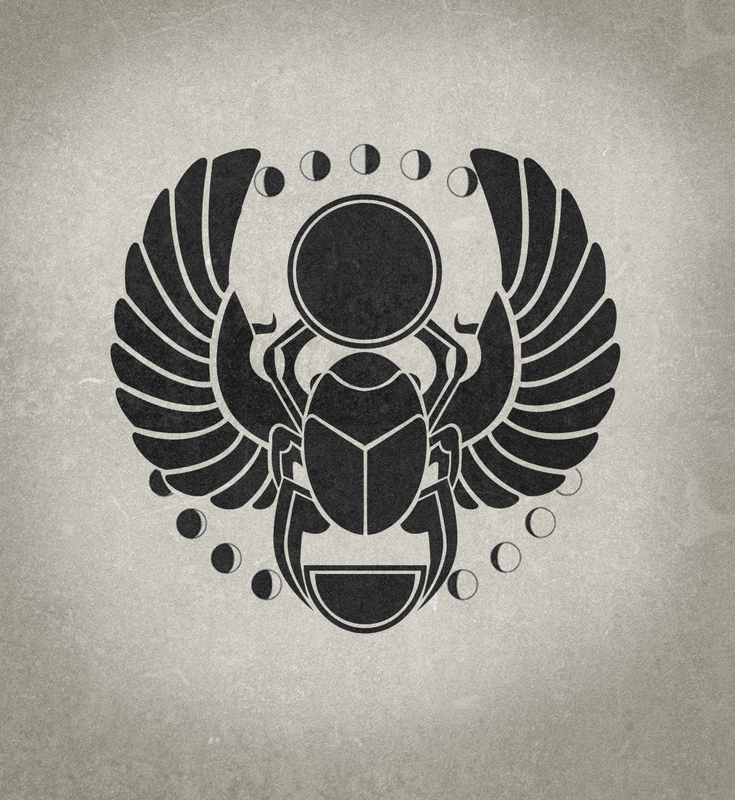 The scarab is a very mystical symbol filled with the internal eternal. It digs and buries itself just to be reborn again, much like the moon. This process of gestation and growth belong to Cancer. 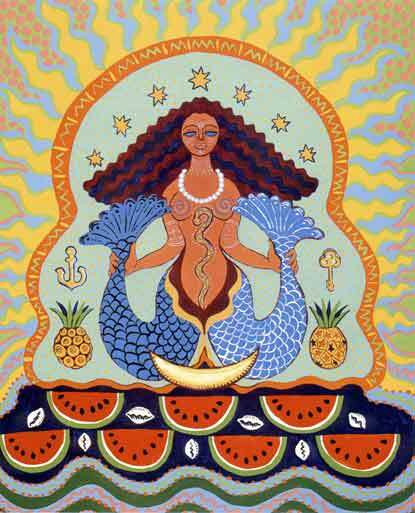 The mysterious and changeable sign represents mother ocean and all its varied existence. Everything is born from the ocean. Cancer is a cardinal sign and highlights feelings in motion. Emotion. The ebb and flow of life. Cancer is all about the family. The deep connections. Ancestral, karmic, and cosmic, they are all Cancers domain. Everything goes back to the ocean, the womb of all life. Full Moon in Cancer is here to remind us to nurture our roots. Water our seeds (ideas) and make our deepest aspirations grow. This is THE full moon of all full moons because Cancer is naturally moon energy! Intuition and sensitivities are heightened. Internalization, processing and acknowledgement are all very necessary at this time. We’re having such a strong feminine full moon during a mercury retrograde phase of introspection right here. Like Leo, Cancer is totally creative. Those intricate emotions need an outlet or we could become prone to worry during this transit! This is a time for poetry, praying, singing, dancing and emotional expansiveness. All of this spells out fulfilling family bonds and making deeper connections from within. For this full moon delve into some astral travel studies and sacred knowledge. The Akashic records are also emphasized for the full moon in Cancer. This is a deeply internalized metamorphosis happening right now! Cancer represents the cosmic mother, so make sure to nurture yourself, your family and closest friends. Remember your past paths and expand on them for the future. I’m feeling an extreme level of de ja vu for the full moon in Cancer tonight. Like I knew this day will come. This energy will last for 2 weeks till the new moon in Aquarius. Keep working thru the current Capricorn Sun and Mercury Retrograde phase. Although some of us may be having alittle hard time, Capricorn is also a great time of strengthening and rebuilding. I am available for 1 on 1 astrology lessons and readings and will be glad to help. For the Cancer full moon, make sure you drink your water. Really. This full moon cycle is also here to remind us that Life will flow smoothly if we stay hydrated. Yep, and it’s time to do that fast if you’ve been putting it off. I get through winter months by doing a few different cleanses, so it’s not so strong of a purge for the spring. Aloe Vera and melons, especially cucumber, are fruits governed by the moon. Eat em up! They can be your best friend during sensitive and emotional times like these. I swear by herbal teas too. Peppermint, maca, ginger, lemon, chamomile, etc. Drink it up! Coconut water mixed with fresh juices has been my latest cleansing obsession. Most of the time when we’re feeling down we are actually dehydrated. And to all the highly emotional people out there, bath rituals are essential. Use sea salt, essential oils, stones, apple cider vinegar and milks to soothe your soul. Mother takes care of all. Never forget that you are loved and free to embrace the essence of the Goddess that surrounds you. Float on! Happy Full Moon! *This Full Moon in Cancer Cycle will be in effect for the next 2 weeks. If you would like to know more about this alignment and how it relates to your 13 sign birth chart please complete the form below, thank you. Posted on October 7, 2014 by RawGoddessInc. What an amazing time to be alive and witness one of our most profound transformations! I’m very excited to see more interest and openness to 13 sign astrology. With satellite apps and the internet, we really don’t have any excuse for blindly staying on western zodiac. Times are changing rapidly and knowing the correct star placements really make all the difference. Today we have a total lunar eclipse in Pisces. No it’s not in Aries, like mainstream media is saying. If you have a google sky map app you can verify this for yourself. The difference between Aries and Pisces is like night and day. Aries energy makes you wanna fight. Pisces energy will have you crying for other people. As I have stated in my previous articles recently, we are in the middle of a great change. We are actively reorganizing our mind body connection with the Sun, Mercury and Venus all in Virgo all month! Mercury also is in Virgo for the whole retrograde. If you know anything about astrology, Virgo is the sign of the woman. The Virtue of Maat. This shift in consciousness will start in the mind (Virgo) and will revolutionize our relationship to women and our earth. This is a massive overhaul that will become more intensified today! Full Moon Eclipses are major life changers. The Full Moon in Pisces today will signify a deeper spiritual integration in this global massive cleanup sweeping the earth. More spiritual groups and movements are starting to emerge as we women are waking up to our true power! Virgo and Pisces are very feminine and healing signs. This is a great time to honor and give back to the women around you, especially if you are a woman. It will strengthen your own truth. In the past, civilizations couldn’t survive without the women all being on one accord with basic functioning trade and or business. I do believe we are at this point again. As soon as we women make up our minds to organize, purify our tribes, and fully come together, the world will become more balanced. Pisces is the sign of spiritual unity so this will totally include men as well! The shift will happen on an emotionally quiet level first, which happens to be mainly women’s domain. The Cosmic Ocean. I’m hoping this will also signal more care and tending to our oceans. But again this really starts from within, so fasting, doing water prayers, libations and yoga on the beach, will activate the necessary drastic internal shifts that have to happen right now. For the next 2 weeks of the Pisces Full Moon Eclipse Cycle, work with your ancestors in libations. Talk to your your relatives that are protecting you from the other side and ask them for guidance if you are not sure what to do about something. Anything. The Pisces moon cycle is also a great time to do a deep meditation and explore our different past lives. I do readings, consultations, and classes. Feel free to join my Raw Goddess 13 signs Astrology group on Facebook. I post exclusive info in there about the secrets of astrology. *This Full Moon Lunar Eclipse in Pisces Cycle will be in effect for 2 weeks and this Mercury Retrograde in Virgo cycle will last 3 weeks. If you would like to know more about these alignments and how they relate to your 13 sign birth chart please complete the form below, thank you.